Foxconn Technology backed away on Friday from its announcement that it was canceling plans to build a liquid-crystal display factory in Wisconsin. The company said it would move forward with the LCD factory, reversing itself two days after saying such a plant would not make sense economically because of competition from global markets. 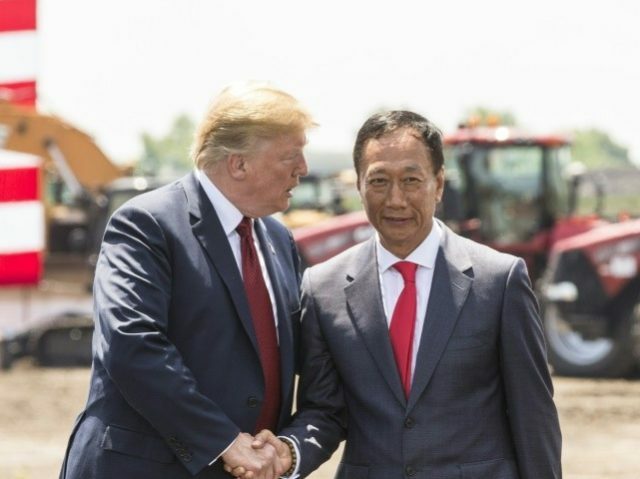 “After productive discussions between the White House and the company, and after a personal conversation between President Donald J. Trump and Chairman Terry Gou, Foxconn is moving forward with our planned construction of a Gen 6 fab facility, which will be at the heart of the Wisconn Valley Science and Technology Park,” the company said in a statement Friday. “We look forward to continuing to expand our investment in American talent in Wisconsin and the US,” Foxconn said in its statement.